Join the UCC Alumni Facebook Group for lots of job updates and postings! 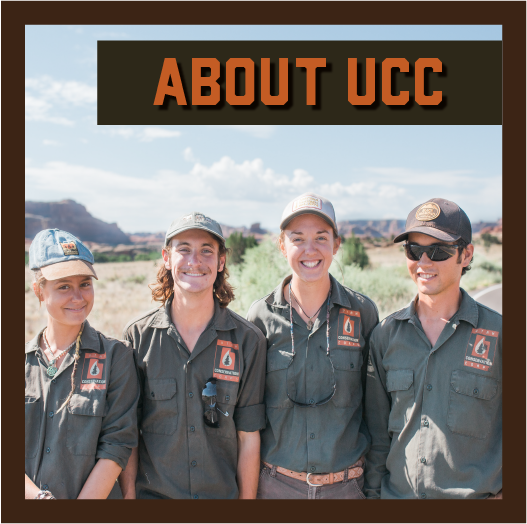 My experience with the Utah Conservation Corps started in the summer of 2015 when I found myself pondering the existential crisis of life and looking for a new opportunity to escape the humidity of southern Texas. I saw an advertisement for UCC Bicycle Crew Members and realized that I had found my calling. I packed up my belongings in and headed west. After successfully completing a 6 month AmeriCorps term of service that included the nation’s first bicycle crew in the summer, using a chainsaw to remove horrendous thickets of tamarisk and surveying campsites for handicap accessibility in the fall, I decided to continue my career in conservation and accepted a position as a Crew Leader in 2016. 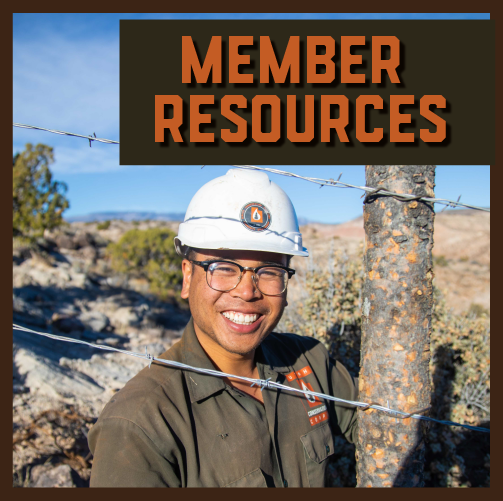 My 10 months as a Crew Leader involved a variety of projects on public lands. During the spring season my crew rerouted the summit trail of Frary Peak on Antelope Island, cleaned up the Jordan River corridor in Salt Lake City and planted numerous native plants along its banks. The summer rolled around and it was time to get back on the “big dummy” bicycles! The bicycle crew thrived for yet another wild summer season. My crew endured the grueling climb from Logan to various trails in the Bear River and the Wasatch Ranges. Summer wrapped up and in came fall. My crew spent most of our season using chainsaws to remove invasive russian olive trees along the banks of the Green River in Ouray National Wildlife Refuge. After being thoroughly battered and bruised by invasive plant species, pedaling long days and many miles on cargo bikes, and many hours of explaining that “yes, I chose to do this job and I love it”, it was finally time to hang up my green and orange uniform. 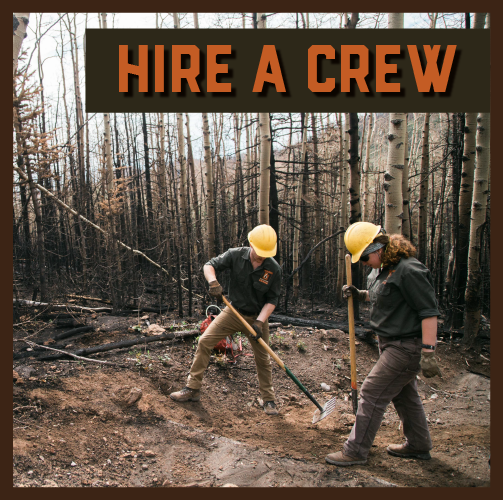 In the years following my UCC experience, I have worked for the National Outdoor Leadership School in Alaska, a xeriscaping company in the Salt Lake Valley, and I just finished working a season as a member of a US Forest Service trail crew based in Escalante, UT.